We are a community-based performing organization who seeks to provide live theatre of a professional quality at a reasonable ticket price, and to provide a cultural experience not otherwise readily available to the community. We strive to contribute back to the community we serve. Just Off Broadway also seeks to provide artists and students with opportunities to grow and learn in their fields, and to gain experience both in performance and in the technical theatre. 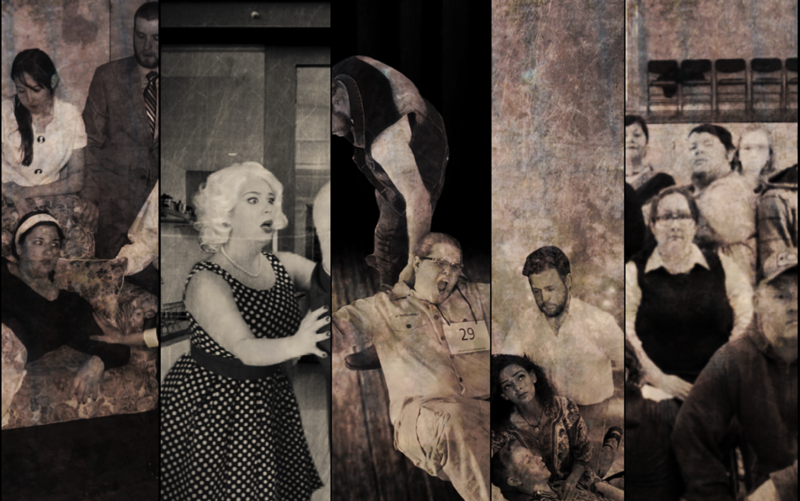 In 2011, after working on numerous productions at various theatre companies, a handful of theatre friends put their heads together to form a new community theatre and Just Off Broadway was formed. The five founders wanted to create a company that is fair and balanced, welcoming new actors, directors, and techies with every production in which everyone gets a fair shot. If an actor wanted to try his or her hand at the technical theatre on on the production side, or if a techie wanted to try his or her hand onstage, Just Off Broadway would be the place to try new theatrical endeavors! No experience would be necessary as long as you are open and willing to learn! Next, they needed a space to create theatrical magic and Jerusalem Evangelical Lutheran Church came to the rescue. One of the founders has a grandmother who is in the parish and she suggested the use of the stage in their community hall. The group went to check out the space and saw that it would be a perfect fit for what they were trying to accomplish and, with the welcome and open arms of the very generous folks at Jerusalem Evangelical Lutheran, plans began for their first production, an original revue of Broadway songs called Give My Regards… It just so happens, the pastor of Jerusalem Evangelical Lutheran Church, Pastor Arwyn Gohl, is marred to the pastor of Epiphany Lutheran Church, Pastor Bill Gohl, and Bill saw the good work and effort the group was putting into their productions and graciously suggested they check out the stage in the community hall of Epiphany Lutheran Church. When the group saw this space and the welcoming support of Epiphany Lutheran, it was almost instantly settled. They would be able to produce two shows a year at the two spaces and spread the joy of theatre. It was just natural that non-musicals would be produced at Jerusalem Evangelical Lutheran while the musicals would be produced at Epiphany Lutheran and that’s the way it’s been ever since. Just Off Broadway has managed to successfully mount many shows in the last few years since their inception and plan to produce many more and we appreciate all the support from both Jerusalem Evangelical and Epiphany as well as the communities in which these churches service.